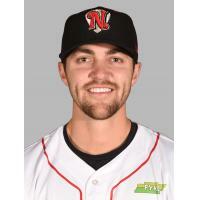 NASHVILLE - The Pacific Coast League announced today that Nashville Sounds' pitcher James Naile has been named PCL Pitcher of the Week for the extended period of April 5 to April 15. Naile, 25, went 3-0 with 17 2/3 scoreless innings in his first three starts of the season. The right-hander concluded the dominant period with a complete game shutout in yesterday's 1-0 win over the Omaha Storm Chasers. The weekly honor is the first of Naile's four-year career. He was drafted by the Oakland Athletics in the 20th round of the 2015 MLB First-Year Player Draft out of the University of Alabama-Birmingham. Naile got the nod on Opening Day in New Orleans and responded with five shutout innings in Nashville's 11-0 win. He scattered seven hits over 5 2/3 shutout frames in his next outing on April 10 against Iowa. In his 17 2/3 innings, Naile has allowed 15 hits and only two walks go to along with 15 strikeouts. Ranked by MLB Pipeline as Oakland's #25 prospect, Naile's complete game yesterday was the first in his career. He is one of only two starting pitchers in all of Minor League Baseball to have three wins in 2018. In his career, Naile is 17-14 with a 3.00 ERA in 69 games (43 starts). He made two spot starts for the Sounds in 2016 but was on a Triple-A Opening Day roster for the first time in his career this year. Nashville had three pitchers garner weekly PCL honors in 2017. Daniel Gossett, Chris Smith and Ben Bracewell earned a PCL Pitcher of the Week award last year.